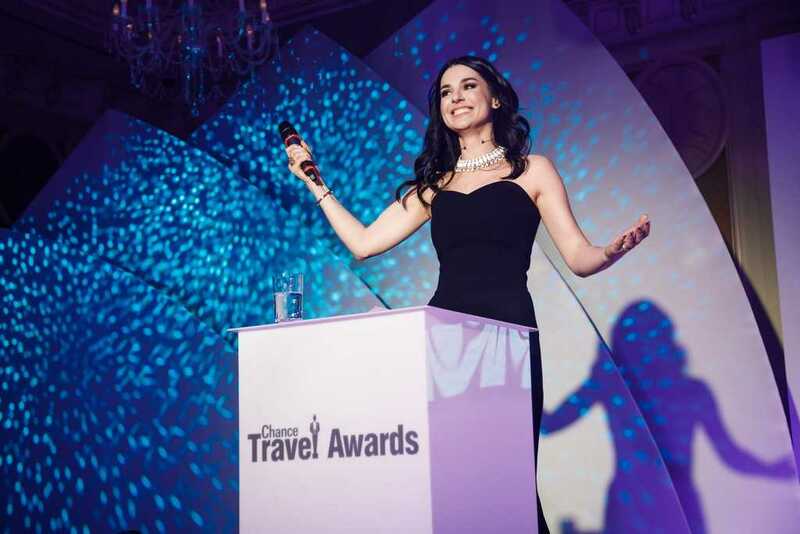 The first Awarding Ceremony Chance Travel Awards took place at Fairmont Grand Hotel Kyiv on February 23, 2017. Over 150 guests came to the Ceremony and gala dinner, including world’s leading hoteliers, luxury travel experts, representatives of the world-renowned companies, and travellers. Maria Efrosinina was the stunning hostess of the Awarding Ceremony. The unrivalled Freedom ballet and trio PANIVALKOVA entertained guests that night. The representatives of the world-known luxury travel segment were competing to become the best at the Ceremony. 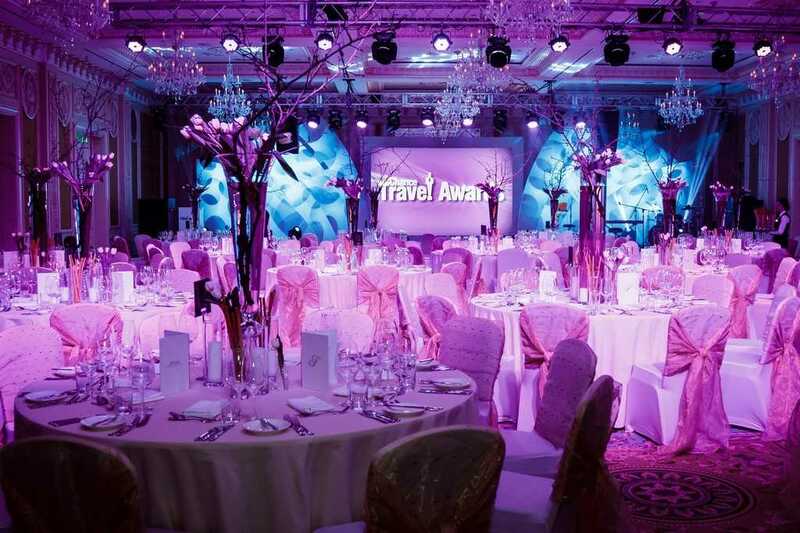 At the first stage, the best Ukrainian travel agencies, which focus on luxury traveling, assessed the nominees by voting. The winners were selected by online voting among the travelers. NOMINATION Favourite destination, WINNER Italy, NOMINEES Italy, France, UAE. NOMINATION Best city hotel, WINNER Plaza Athenee Paris, NOMINEES Plaza Athenee Paris, Four Seasons Hotel Firenze, The Plaza Hotel New York. NOMINATION Best ski resort, WINNER Courchevel, NOMINEES Courchevel, St. Moritz, Megève. NOMINATION Best ski hotel, WINNER Cheval Blanc Courchevel, NOMINEES Cheval Blanc Courchevel, Badrutt`s Palace St. Moritz, Grandes Alpes Private Hotel & Spa. NOMINATION Best airline, WINNER Emirates Airlines, NOMINEES Deutsche Lufthansa AG, Emirates Airlines, Air France. NOMINATION Best beach hotel, WINNER Forte Village Sardinia, NOMINEES Forte Village Sardinia, One&Only Reethi Rah Maldives, Madinat Jumeirah Dubai. NOMINATION Best SPA hotel, WINNER SHA Wellness Clinic, NOMINEES Grand Resort Bad Ragaz, SHA Wellness Clinic, Terme di Saturnia. NOMINATION Best family hotel, WINNER Aldemar Royal Mare Luxury Resort & Thalasso, NOMINEES Maxx Royal Kemer Resort, Aldemar Royal Mare Luxury Resort & Thalasso, Sani Resort. NOMINATION Grand opening of the year 2016, WINNER Ritz Paris, NOMINEES Palazzo Versace Dubai, The Ritz Paris, Hotel Barriere Les Neiges Courchevel. NOMINATION Best Ukrainian hotel, WINNER Fairmont Grand Hotel Kyiv, NOMINEES Mirotel Resort & Spa, Fairmont Grand Hotel Kyiv, 11 Mirrors Design Hotel, M1 Club Hotel. NOMINATION Best wellness hotel, WINNER Villa Eden Hotel & Spa Merano, NOMINEES Villa Eden Hotel & Spa Merano, Brenners Park-Hotel & Spa Baden Baden, Kalari Rasayana India, Kerala. NOMINATION Best hotel chain, WINNER Four Seasons Hotels & Resorts, NOMINEES Four Seasons Hotels & Resorts, One&Only Resorts, Aman Resorts. NOMINATION The “trendiest” hotel, WINNER Santa Marina, a Luxury Collection Resort, Mykonos NOMINEES Nikki Beach Resort & Spa Dubai, Santa Marina a Luxury Collection Resort Mykonos, Byblos St. Tropez. CHANCE travel & lifestyle magazine. General partner – Dream House Agency (real estate agency, sale and rent of villas and apartments worldwide). Exclusive partner – Chance Private Club – 24/7 travel & concierge service. Travel is… – exclusive accessories for traveling. Alcohol partners of the ceremony – Hennessy and Veuve Clicquot. Sweet partner of the ceremony – MILK BAR restaurant.